Heal your mind and body. Innovative approach, proven to work. 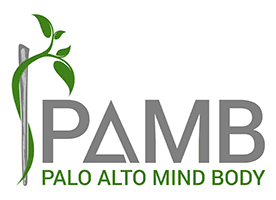 Palo Alto Mind Body is located in Palo Alto, California and serves patients in the surrounding Bay Area, such as South Bay, North Bay, East Bay, Peninsula, San Jose, and San Francisco. Our innovative mental wellness practice was established by M Rameen Ghorieshi, MD, MPH, upon the belief that mental and physical health are strongly intertwined, and you can achieve your best level of health when you strive to heal both. Dr. Ghorieshi combines the latest scientific medical, drug, and functional health discoveries with different proven psychotherapy approaches, allowing you to achieve a balanced state of mind and body health. Dr. Ghorieshi holds dual board certifications in psychiatry and addiction medicine. He and his team of highly trained and experienced providers have devoted their lives to helping individuals heal and get relief from a wide range of—and often debilitating—challenges, such as addiction, anxiety, depression, PTSD, OCD, chronic pain, and other mental and social health issues and disorders. Dr. Ghorieshi and his team are compassionately dedicated to using evidence-based treatments to help individuals regain control of their lives. Evidence-based treatments are therapies and medications that have been shown in scientific clinical studies to make a positive difference for individuals suffering from addiction, anxiety, depression, PTSD, pain, and a range of other mental and social health challenges. Palo Alto Mind Body is the leading provider of IV Ketamine infusion treatments which is recognized as the most exciting breakthrough for treating severe cases of depression, anxiety, PTSD, OCD, migraines, and chronic pain that have been resistant to other treatments. The first step in healing is to reach out. If you or someone you care about is suffering, we welcome you to contact us by phone or confidential email to schedule a visit with Palo Alto Mind Body. *Please note, all providers are independent practitioners and are not employees or agents of M Rameen Ghorieshi, MD, MPH or Palo Alto Mind Body.